Video is the best teaching tool there is. Preparing and organizing game footage is one of my main responsibilities working for the McGill Martlet hockey team, and has become something that I enjoy quite a bit over the course of the past two seasons. Having played for coaches who use video analysis to various degrees in both hockey and tennis growing up, I think seeing one’s self play sports on video is the best way to correct deficiencies and identify areas for growth. As I discussed previously on Hockey-Graphs, I’d define my responsibilities toward our coaching staff as 1) helping them reduce uncertainty and 2) helping them better manage their time. Three minutes’ worth of clips before a game is better than one minute of clips, but three minutes of clips is also much better than ten or 30 minutes of clips. In a fast, instinctive sport like hockey, a small quantity of quality insights trumps anything else. Repeatability is one of the cardinal principles behind analytics – the concept which explains why Corsi is better than shooting percentage or plus/minus. 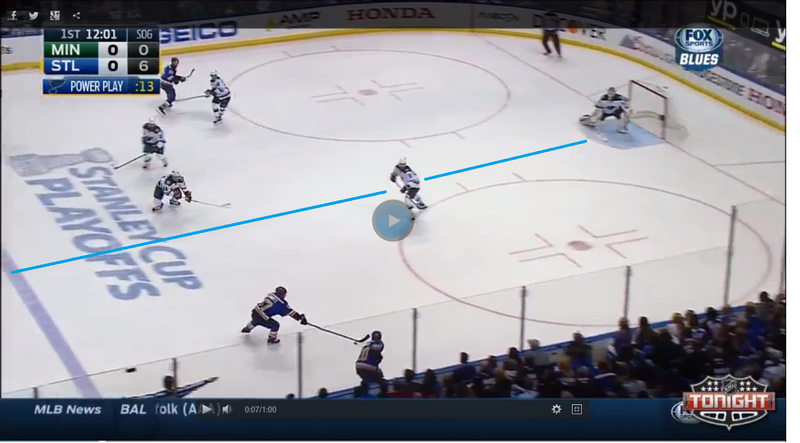 I generally won’t invest time clipping things that are not repeatable on the ice, unless it’s to illustrate a very specific point. Does the play drive results? Does the play fit our personnel and our playing style? The Washington Capitals have the best powerplay in the NHL, but it would not be a good idea for most teams to copy their 1-3-1 setup because much of its effectiveness is tied to the otherworldly skillset of Alex Ovechkin. For teams who can’t count on an elite one-time shooter, though, looking at underlying stats would point them in the direction of the Vancouver, Phoenix or Philadelphia powerplay, all of which are run in a 1-3-1 formation with different wrinkles. Some of the other determinant factors could include handedness (Detroit has been able to run a very good powerplay for the past few years despite having to ice five lefties at once most of the time), player size/style (the way Anaheim dominates the cycle is good to copy if you have the right individuals) or even level of play (Tampa Bay may not have a great powerplay if you look at shot volume, but that setup is great for female players because of how it induces cross-ice shots from closer in). ← Hockey Graphs live video (Pod)cast #1 : Tuesday 10/6/15 at 9PM EST! My name is David Manning and I am the coach of St Andrews College in Aurora, Ontario. I will be in Montreal next week and was wondering if I could come McGill to check out some of your work on Wednesday, October 14th? I’d like to pick you brain a little bit.